HAPPY BIRTHDAY FROM LOLA MARIA RESTAURANT! 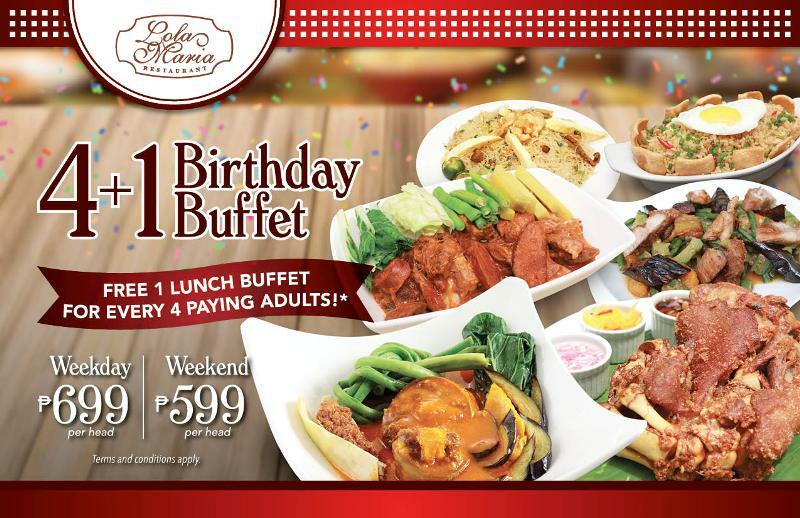 Get a FREE buffet lunch when you bring 4 paying adults to celebrate with you on any day in your birth month! Offer is valid until December 31, 2019. Terms and conditions apply. Call us at 7022093 or 09176589358 for inquiries and reservations.